A Certified Mail Manifest or firm sheet form PS-3877 should be presented if three or more Certified Mail letters are mailed at a USPS Post Office. 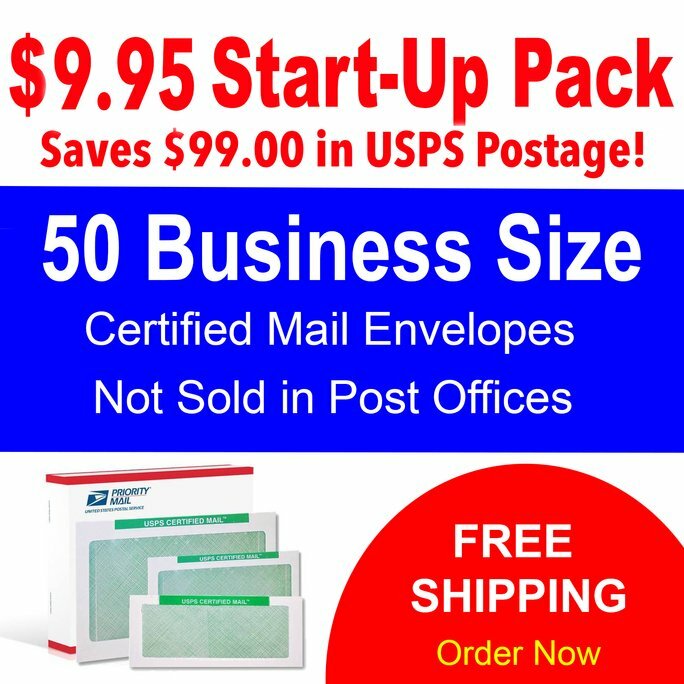 If three or more Certified Mail letters are mailed at the same time, you will need to provide USPS Form 3877 called a Firm Sheet or Certified Mail manifest. The computer-generated manifest contains postal information, rates, fees and article numbers approved by the postmaster. 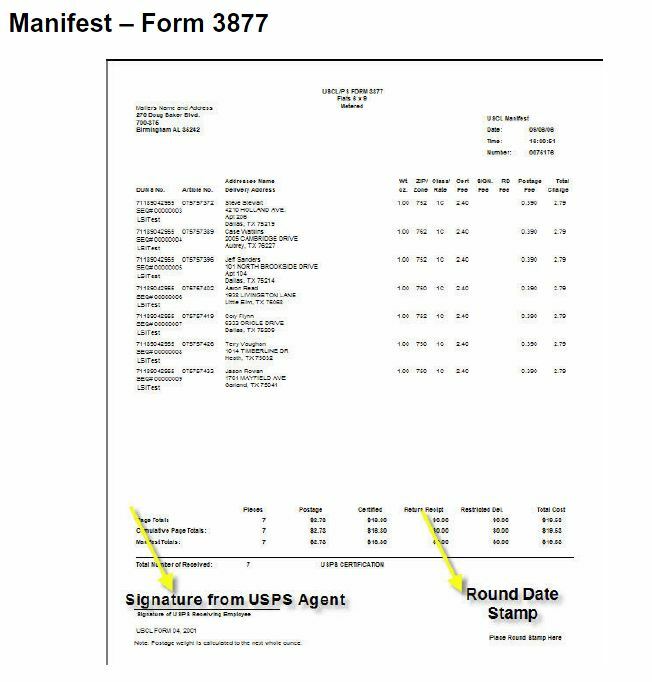 When you present three or more letters it is a good idea to have the firm sheet or manifest date stamped with the round stamp and signed by the USPS acceptance person. This serves as your receipt or proof your letter was accepted into the U. S. Postal Service mail stream. This report becomes your receipt of mailing. Any alterations made to this report must be initialed by the mailer and accepting USPS employee. All unused portions of the addressee column must be obliterated with a diagonal line.